Many violations and shortcomings have been found at the State Capital and Investment Company (SCIC). These occurred mainly in the transfer and receipt of State ownership representation rights to and from businesses and in the financial management processes of the SCIC. In an announcement released by the Government Inspectorate on November 22, inspectors revealed their conclusion on the SCIC’s implementation of policies, laws and corporate tasks. The SCIC is a State-owned enterprise. Its primary objectives are to represent State capital interests in enterprises and to invest in key sectors and essential industries, with a view to strengthening the dominant role of the State sector while respecting market rules. The SCIC is currently managing a large portfolio of over 500 enterprises that are operating in various sectors, such as financial services, energy, manufacturing, telecommunications, transportation, consumer products, healthcare, and information technology. Inspectors said the SCIC had failed to uncover and resolve shortcomings in transferring and receiving representation rights among businesses in cities and provinces, including Hà Nội, HCM City, Bà Rịa-Vũng Tàu and An Giang provinces. The inspectors said the SCIC Board of Directors did not issue documents to approve the corporation’s plans to receive the State ownership representation rights from businesses. It was found to have received rights from Vietnam Trading Engineering Construction Joint Stock Corporation (Vietracimex) without a prime ministerial decision. A problem occurred when Vietracimex was found not to be on the approved list of businesses being transferred. Meanwhile, the SCIC initially announced its representation of State equity ownership in Vietnam Insurance Company (Baoviet) after it received ownership transfer rights from Vinashin, which is currently Shipbuilding Industry Corporation (SBIC). This did not adhere to the laws on such a transfer. The inspectors concluded that in the 2008-13 period, the SCIC transferred its representation rights of State equity in 30 enterprises to ministries and localities for management, but only Jetstar Pacific Airlines Joint Stock Company had received the prime minister’s instructions. On the implementation of rights and obligations of the State equity owners in the businesses, the inspectors said the transfer dossiers at a number of businesses lacked authorisation, figures and legal documents. There was also a shortage of the businesses’ latest balance sheets and transfers of capital and assets prior to equitising the companies. The SCIC was also found to have violated regulations on granting authority to unqualified persons to represent the State capital in the businesses. By September 30, 2015, there were 21 representatives older than retirement age. Some of them did not have the authority to represent the State equity, while others had received authority a long time after assuming the post. A number of representatives had not completed their tasks in two consecutive years, but the SCIC did not consider blocking their authority, as regulated by the law. As for the State equity representatives’ tasks at the businesses, several representatives had not made periodic reports on the corporate operations to the SCIC, while others had approved investments without receiving authority from the SCIC and shareholders. The inspectors said the representatives had not fully executed their obligations and tasks in accelerating and revoking debts for the SCIC, in addition to violating regulations on project bidding and implementation without an assessment of investment effects or approval from shareholders. The State capital representatives had caused many violations and shortcomings at a number of businesses, with a total value of more than VND183 billion (US$8 million). As for the SCIC’s investment of State capital, the inspectors said its business saw profits, but the effects of some investment amounts were unclear. Further, the addition of investment capital to several businesses had no close supervision. 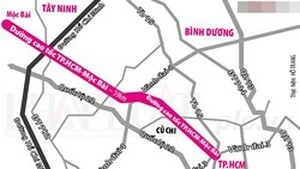 For instance, an investment had been made in Hanoi Transport Construction Joint Stock Company, and the company still received additional capital from the SCIC, even though this was not listed in the investment plan. There was also no corporate assessment, though this company had continuously faced difficulties in operating their business. 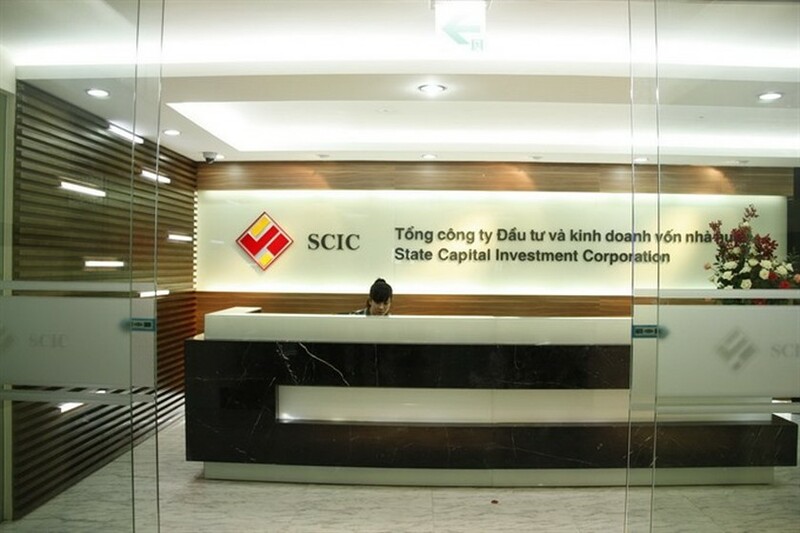 The SCIC also decided to spend more than VND1.6 trillion to allegedly raise registered capital for the Việt Nam Construction Import-Export Corporation (Vinaconex), though it seems this did not really occur. In fact, the funds were used to help the corporation pay its debts after it suffered losses of VND2 trillion from the Cẩm Phả cement project. The government inspectors also discovered SCIC violations in managing and using the Business Arrangement and Development Support Fund. Nearly VND1 trillion was incorrectly spent on purchases and investments in fundamental construction projects, while some VND400 million worth of violations were discovered involving project dossiers, balance sheets and examinations. Based on these violations, the government inspectors have proposed that the prime minister, the Ministry of Finance and other relevant ministries and sectors become involved in resolving the shortcomings and issue fines or take disciplinary actions against a number of individuals and groups involved in the violations. The prime minister has agreed to the inspectors’ conclusions and proposals.